HomeArticlesWin 2 Seats From The Cincinnati Gardens!!! Win 2 Seats From The Cincinnati Gardens!!! For nearly 70 years The Cincinnati Gardens in Cincinnati, OH has severed as the setting for many great memories from Cincinnatians. From sporting events to legendary concerts, the Gardens has hosted it all. 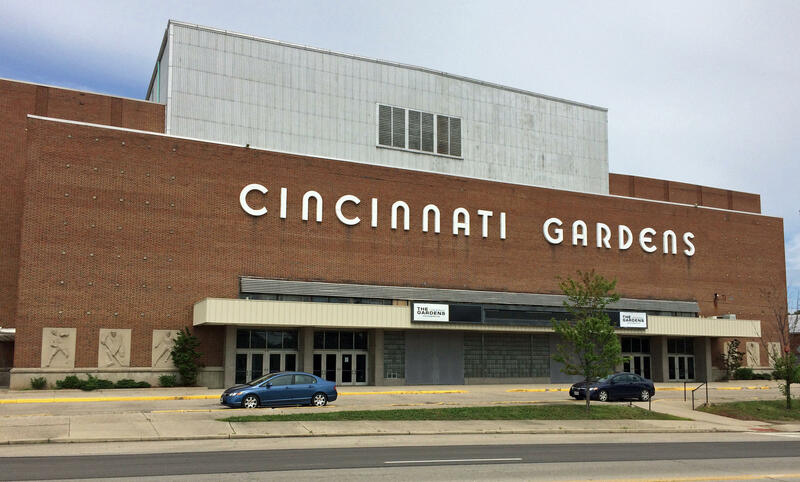 Opened in 1949, the floor of the Garden’s was the home of the NBA Cincinnati Royals, the NCAA Xavier Musketeers, and hockey teams Cincinnati Cyclones and Mighty Ducks. When the building wasn’t hosting sporting events, sounds from concerts by Elvis, The Beatles, Van Halen and Ozzy Osborne could be heard from the rafters. Sadly, the Cincinnati Gardens is no more. Just this spring a demolition crew leveled the building and all that was in it. All that is left now are just memories. However…The Music Room was able to obtain a pair of seats from the legendary building and we are now offering you a chance to own a piece of history. You see, one day while we were paying our respects to the Gardens before the final blow was struck, we found a very cool construction worker who agreed to get us the mentioned seats. He drove his bobcat into the remaining structure and returned with seats 20 & 21 from Row F of section 18. It was not our original intentions to ever part with these treasures. Like you, we are music fans that have many wonderful memories inside the Garden’s walls. However, in the recent months, our little site has taken a turn and has the potential to take things to the next level. In the past two months alone we have covered shows by P!NK, The Eagles, and Halestorm. We have also been fortunate enough to interview music legends including Steven Tyler. In an attempt to prepare ourselves to rise to the occasion, we are planning a couple of fundraising ventures. 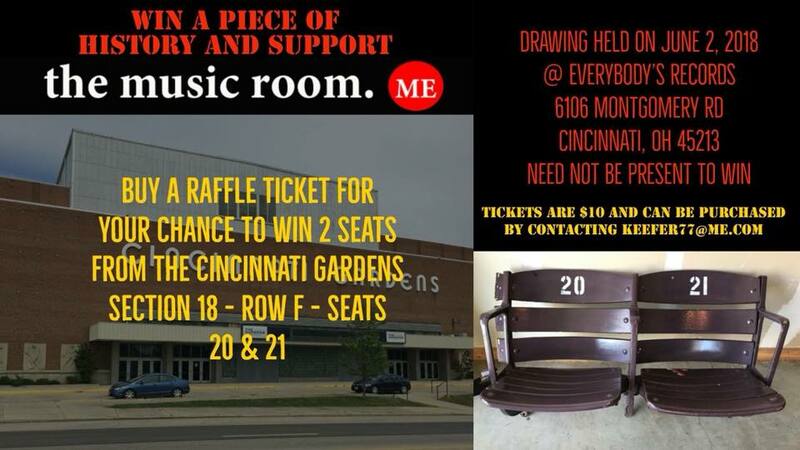 The first of which is a raffle for our very own seats from the legendary Cincinnati Gardens! On June 2nd, we will draw one lucky winner during our patron drive at Everybody’s Records in Cincinnati, OH. Between now and then, you can purchase raffle tickets here at this site, or physical tickets at Everybody’s Records, or by making arrangements with us at keefer77@me.com. Tickets are just $10 and you do not need to be present at the time of the drawing to win. 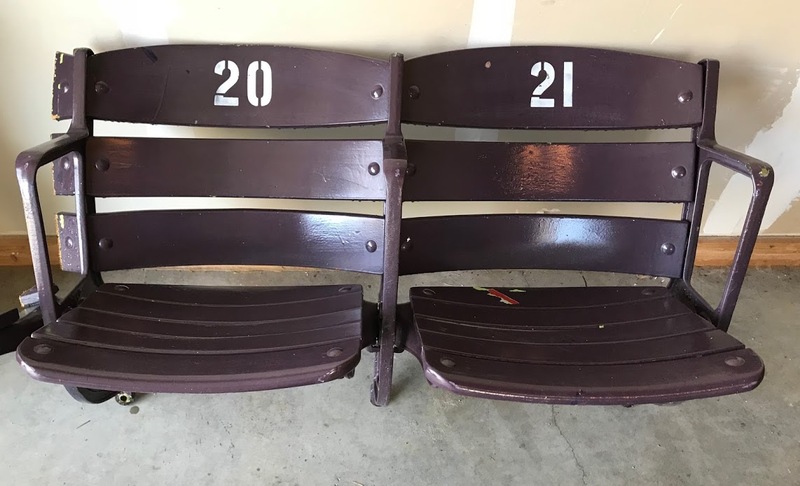 There are not many of these seats out there, so this is an incredible opportunity to get your hands on a piece of the Cincinnati Gardens that few others have. Enter online now by clicking the link below to purchase your raffle ticket. Be sure to include your name, phone number and e-mail address. You can buy as many chances as you would like. The raffle will be void if less than 50 tickets are sold. If the raffle is void, full refunds will be given.